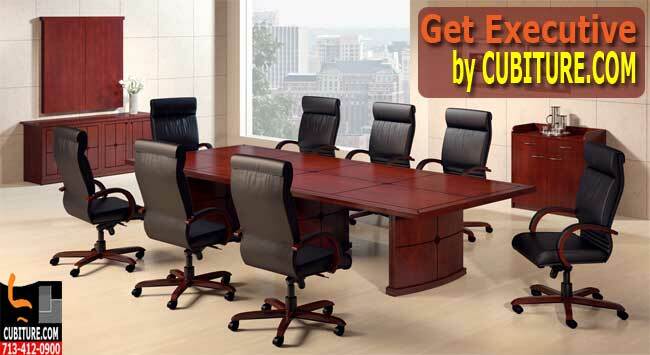 Your conference table is one of the most important pieces of office furniture you will ever buy. Studies indicate that States that approximately 11,000,000 meetings occur each day in the United States. Business analysts estimate that the average professional attends over 60 meetings every month. Most experts also concur that employees lose the equivalent of four 8-hour days each month on meetings that are poorly planned in poorly designed spaces. Proper clearance space will reduce the downtime that results from poorly designed meeting rooms. 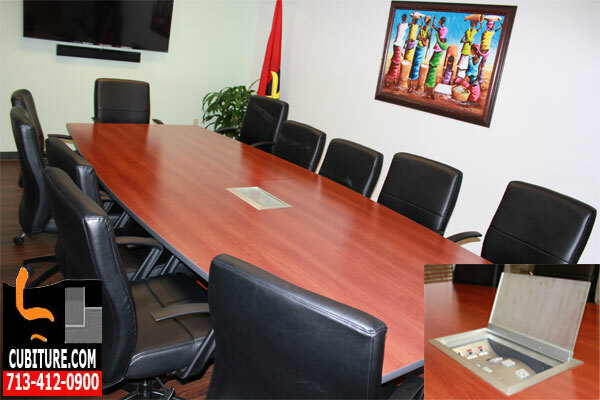 By clearance space, we mean that everyone in your meeting has sufficient room to comfortably move around the conference table from either a standing or seated position. These basic movements allow office space planners to determine specific measurements for various dimensions of clearance space that must exist around every conference table. The following dimensions represent basic guidelines that most space planners follow when designing a meeting room. In conference rooms, a general rule most offices space planners follow is to designate 30″ of table workspace to each and every person. For instance, a small company looking to buy a conference table for 6-8 attendees, an average table size would be 8*30, 240 inches in perimeter. Each chair requires approximately 30″ of space between the next chair. For minimum clearance, leave at least 48″ between the table and the wall. We typically recommend an aisle of approximately 60″ between the wall and the table edge. Office planners recommend approximately 16″ between the back of a pushed back chair and the wall. This allows attendees to walk comfortably behind a seated person by turning sideways. When a chair is pushed in, however, office designers recommend 24″ of space between the back of the chair and the side so a person can walk behind the chair without turning sideways. Office planners aim for 30″ of space between the end of a conference table and any wall-mounted display video screen. From these general guidelines, we can quickly see how important it is to consult with a company like Cubiture.com that offers free office space planning services. Determining clearance space first, and then looking at different conference room table options, will allow you to find the table that combines perfect fit, aesthetics, and communications functionality. Don’t try to determine your conference table size on your own. Call 713-412-0900 for free space planning that will guide your purchasing decision. 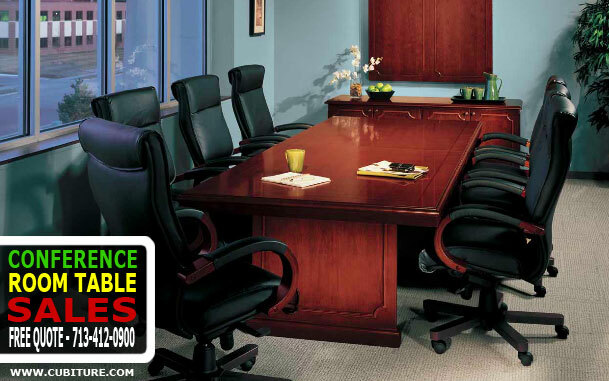 HM-5611 Meeting Rooms and Conference Rooms can be the focal point of any business, so businesses need the very best in conference room tables. USA FREE Shipping! 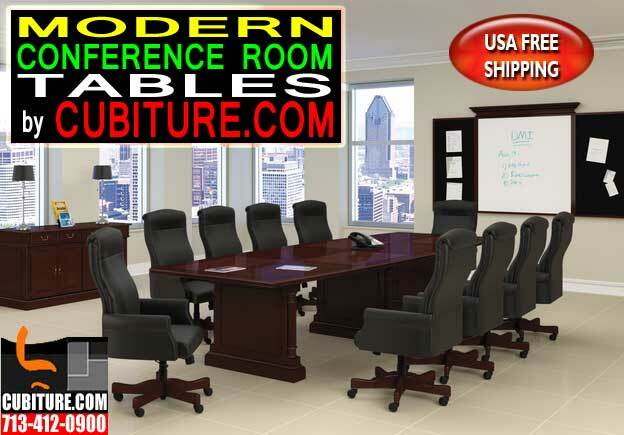 Modern Conference Room Tables For Sale In Houston, Texas. 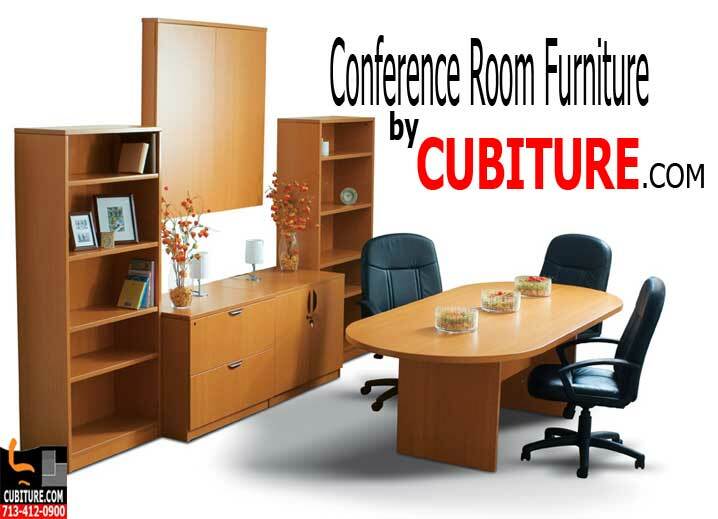 Cubiture.com Is The Leading Manufacturer Of Office Furniture Including Cubicles, Office Chairs, Conference Room Tables, Workstations & Desks. 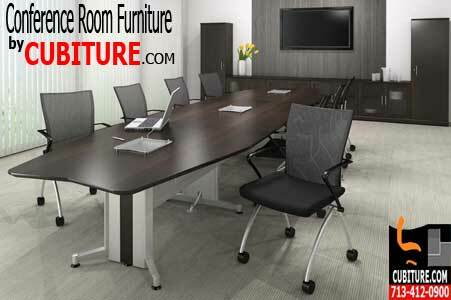 MAY33 New Conference Room Table Office Furniture For Sales, Design & Installation Services. 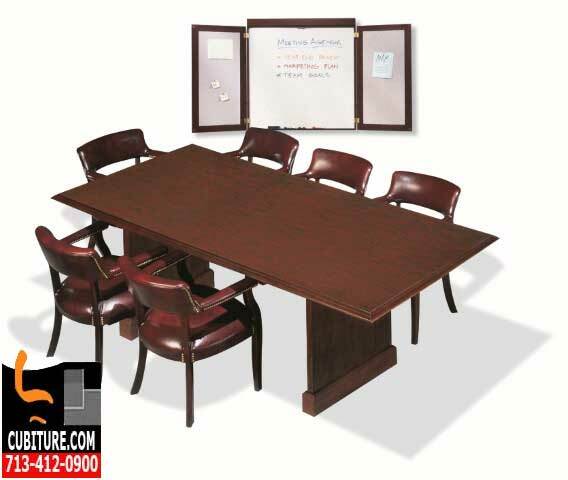 MAY-32 Conference Table Furniture For Sale, Design, Installation, Moving & Relocation Services.